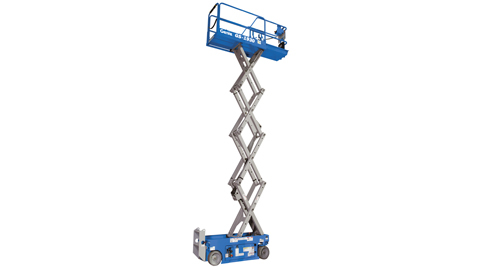 21 Foot Scissor Lift Rental – Electric – Genie GS-1530, is available for rent in Rochester NY, Ithaca NY and the entire Western New York region from the Duke Company. The Genie GS-1530 is ideal for operation on firm, level surfaces for both indoor and outdoor applications. It is a zero emission, electric powered machine with solid, non-marking tires.